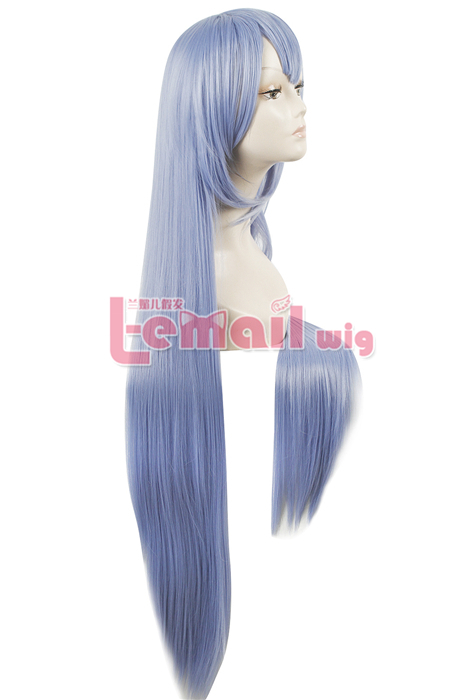 This 100cm long sky blue cosplay wig has a soft blue color that catches immediate attention. It is a delicate goddess-style wig where the base of the wig gracefully touches the back and side layers fall past by the shoulders. The bangs of this wig has already been styled from factory, so it can be used directly. If you need this wig for other character, you can simply get the effect you want! The back of the wig features like waterfall, goes from the head to the end straightly and horizontally. The whole wig has been made of heat material and with good workmanship that keeps the wig look natural despite an unnatural color. It is very appealing to the sight. Long sky blue color is an enticing color mixed ash blue tone. The angular bangs that needs to be trimmed slightly, maintain one’s fresh & youthful looks. The wig boast forward layers that add volume to the wig. It feels very soft on the head and breathable too. Cosplay wigs come with factory made hair styles. They are intended to save your time every morning. They need minimal styling everyday but it doesn’t mean you can’t create your own enchanting hair style with your wigs. Epic hair style idea you can custom-create using this wig. 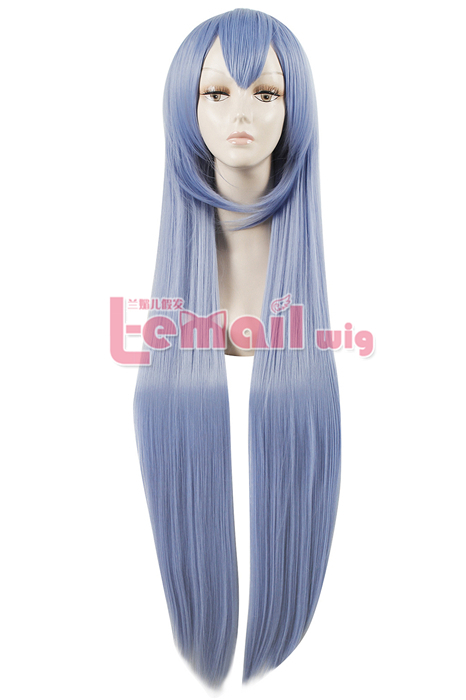 This entry was posted in Buy Cosplay Wigs, Wig Maintenance and Care and tagged blue color wigs, L-email wigs, long cosplay wigs, long straight wigs.